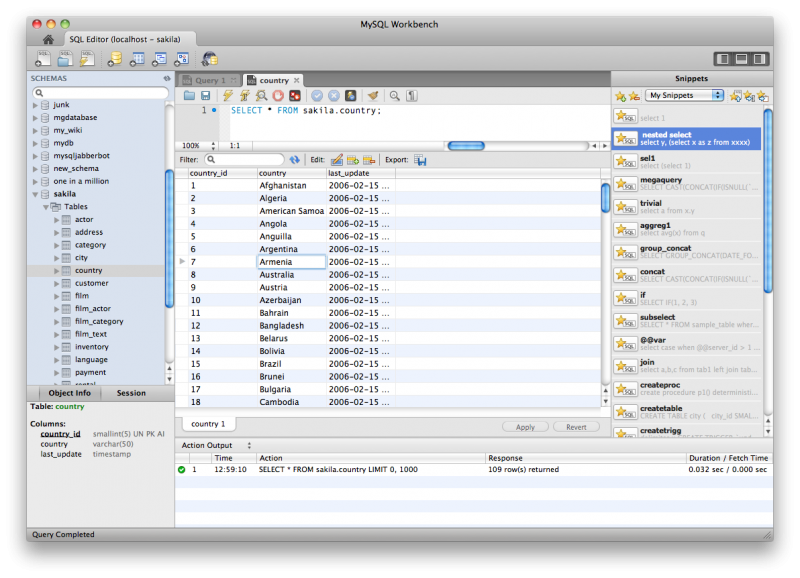 MySQL Workbench 5.2.36 is now out and brings a lot of improvements across the board, with special focus on the Query Editor. We’ll cover some of the changes in this post, jump to the full post for details. The log of executed commands and server responses is now always visible while resultset grids and the query editor can be resized according to your needs. 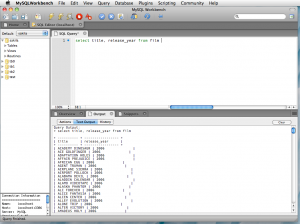 Resultsets are also grouped in the same tab as the query editor that generated them. 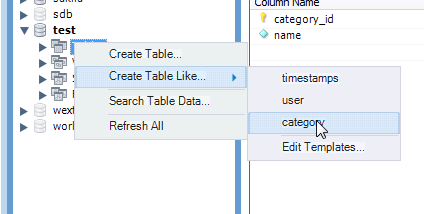 SELECT queries are now analyzed as in the old MySQL Query Browser tool and, if possible, its resultset can be edited in the grid. If the resultset cannot be edited, you can place the mouse over the ReadOnly label and view the reason. Improved snippets manager and editor, allows having snippets list always at hand, while editing can be done without disrupting work on the main query area. Editor state is now properly saved between sessions. Sidebar sizes, the last selected schema and other state information is now properly remembered between sessions. Script and resultset tabs can be reordered. Keyboard navigation of resultsets has been fixed to properly handle Tab key navigation in all platforms. The schema tree will now work with multiple selections, allowing the same action to be performed with more than one object at a time. 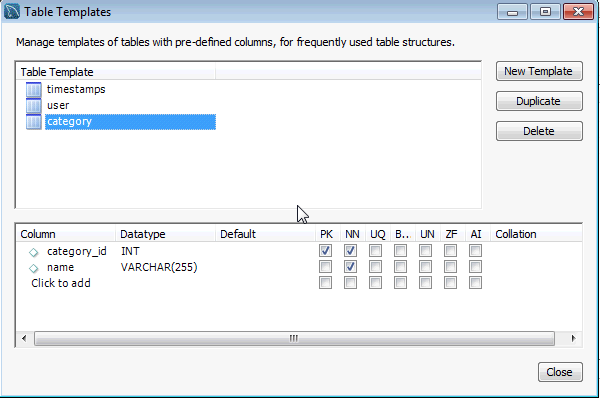 You can select the columns to appear in a SELECT statement. A filter box was added to the live schema tree, allowing you to restrict the number of visible items in the tree to what you’re interested in. 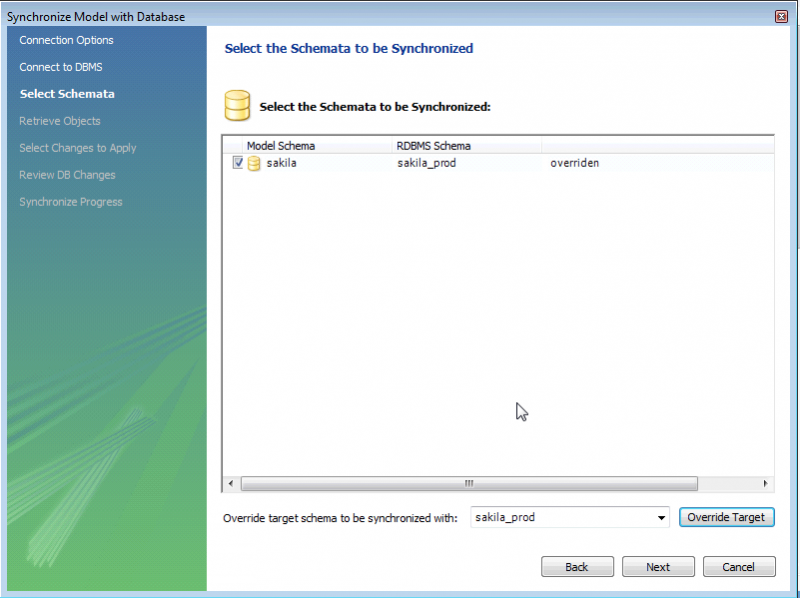 The schema tree was expanded to show more information about objects. In addition to schemas, tables, column, views and routines it also displays information about triggers, indexes and foreign keys. The object information box has been improved. 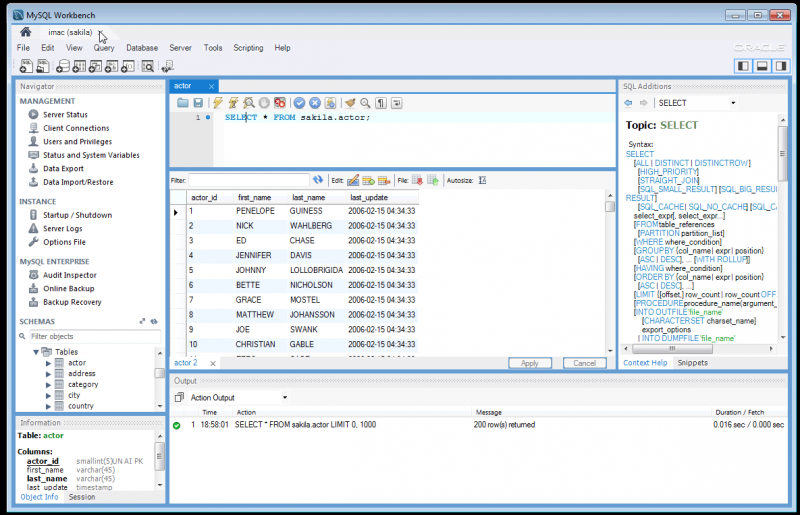 Export recordsets to Excel, JSON and XML files that match the format used by MySQL. The export code has also been revamped to make writing custom export formats easier, which will be explained in a future post. The Log browser support was improved to work with log files, in addition to log tables, when managing local and remote servers. Export/Import layout was cleaned up and is now roomier and less cluttered. 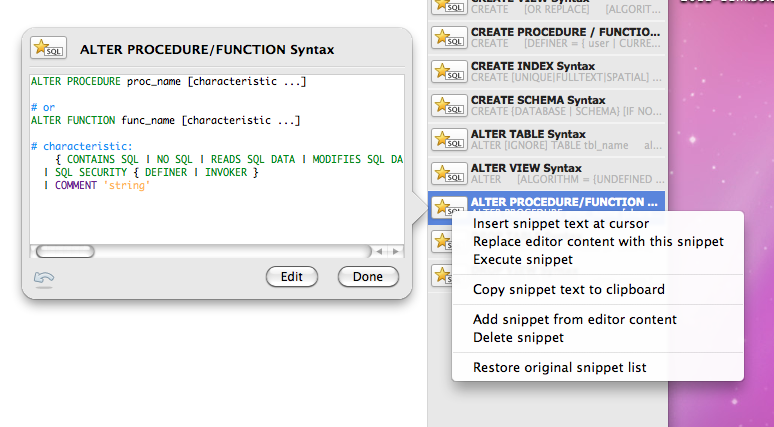 The focus of this release was on the SQL Editor, so there isn’t much new here. But heavy modeling users on Linux and Mac should be happy to know that the catalog tree has been finally fixed to stop scrolling back to the top. 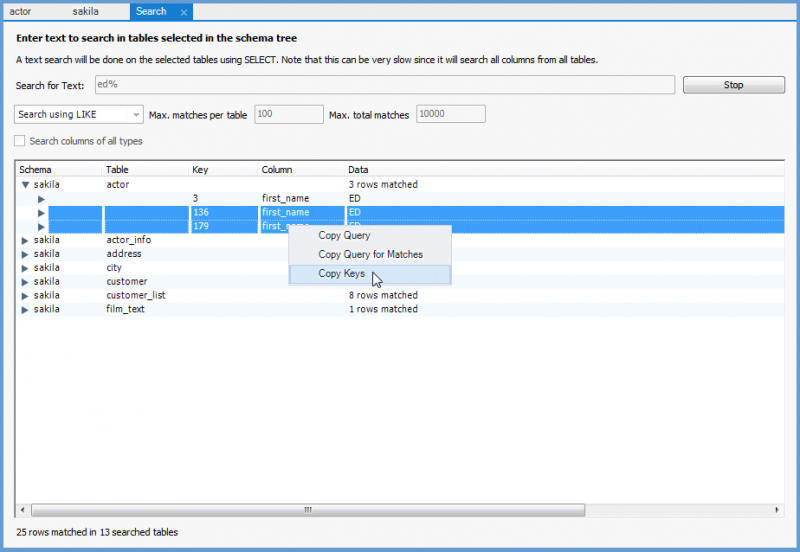 We’re still working hard on adding and finishing more improvements to the major features we already have in MySQL Workbench, to make it the best and easiest to use database tool; but we think this is a good step forward. 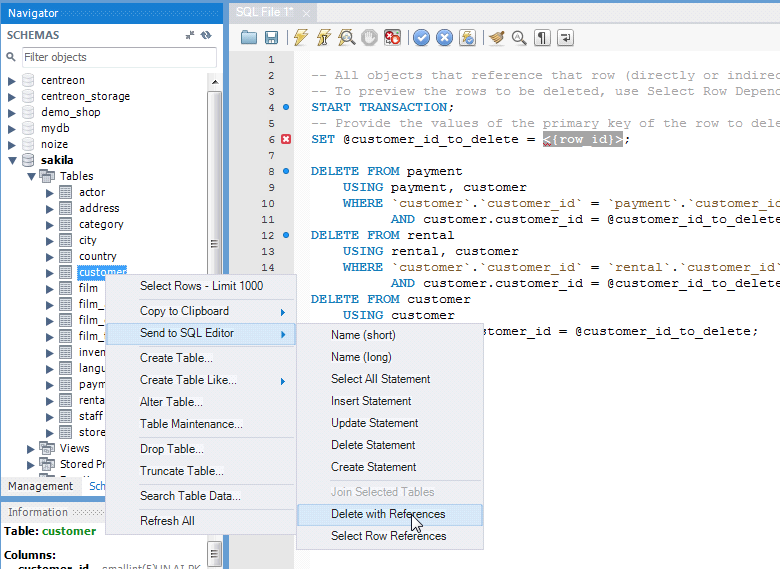 In MySQL Workbench 5.2.26 a new query execution command is available, where query output is sent as text to the text Output tab of the SQL Editor. 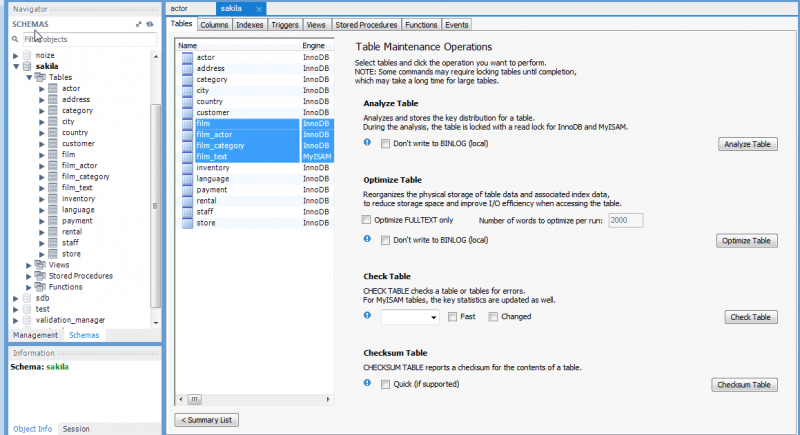 Some MySQL Workbench users liked the “Results to Text” option available in Microsoft SQL Server Management Studio. 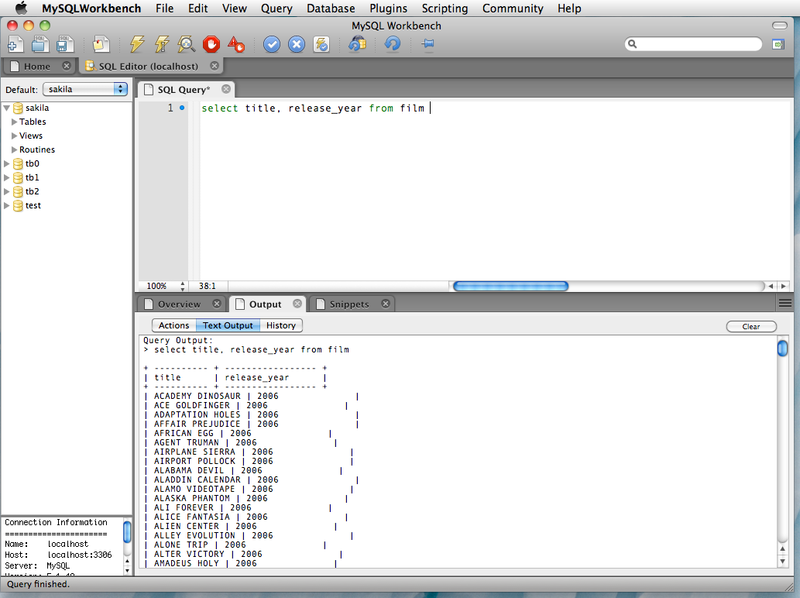 Cool thing is with a few lines of Python we implemented this command using the SQL Editor scripting API. For full documentation on scripting and plugin development, refer to the documentation pointers page. 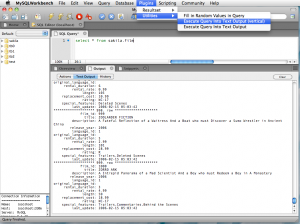 How you can customize the script to deliver your own customized results format command. 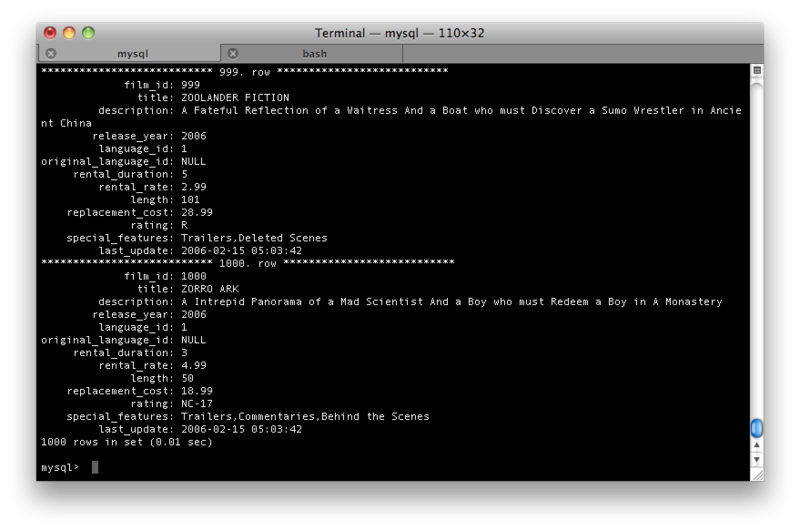 We will try emulating that format using our modified plugin. You can locate the original code for the plugin we want to modify in the sqlide_grt.py file, in the MySQL Workbench distribution (in Windows it will be in the modules directory in the WB folder, in MacOS X it will be in MySQLWorkbench.app/Contents/PlugIns and in Linux, in /usr/lib/mysql-workbench/modules). @ModuleInfo.export(grt.INT, grt.classes.db_query_QueryBuffer) declares the return type (grt.INT by convention) and argument types of the plugin function defined further down. In the line above it, a unique identifier for the plugin is given, followed by a default caption to use in places such as menus, the input values taken by the plugin and the location in the Plugins menu where it should be placed. The plugin executes the current query, so the argument it requests is wbinputs.currentQueryBuffer() (the selected query buffer tab), which has a type of db_query_QueryBuffer. You can read more about the available types and inputs in the relevant documentation. renders the output in the text Output tab. 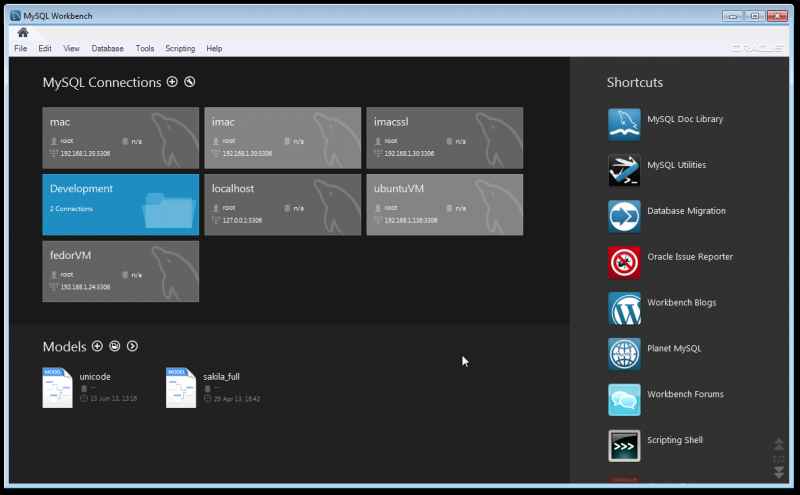 To create the modified version, we can copy the above plugin and make some changes. open it in some text editor of your liking. You can see the body of the function in the complete sample module file here. To install the module, you can use the Scripting -> Install Module/Script File… menu command. Select the newly created plugin file (verticalquery_grt.py) from the file browser and click Open.